It is always a joy to celebrate Holy Mass at St. Ignatius but never more than today when we bring to a fitting conclusion a year-long celebration of the 225th anniversary of this wonderful parish. During this past year, perhaps more than ever, you have reclaimed your history and your heritage. Even more wonderfully, the grace of God has enabled you to be renewed and deepened in a true missionary spirit – the same spirit that prompted our forebears in the faith to lay the ground work for this parish so long ago. I do not propose to offer you a detailed lesson in your own history; you know it well and you cherish it. Instead, I’d propose to weave highpoints of your history and mission into a reflection on today’s Gospel proclamation, which speaks about our calling to be laborers in the Lord’s vineyard. Let us see how this Gospel sheds a beautiful, divine light on the labors of those who have gone before us in faith and on the work we have been called to do in our day. As the Owner of the vineyard went into the marketplace throughout the day he found many who stood by idly, waiting to be hired. When we think of the enterprising people who laid the ground work for this parish and reflect on the busyness of our own lives – our home-life, our jobs and careers, school activities and so much more – it’s hard for us to think of ourselves as idle day laborers waiting to be hired. Yet, as the lives of the saints illustrate for us, again and again, unless and until we are doing the Lord’s work, we may be very busy in the world’s eyes but in God’s eyes we are idle. After all, it is Lord’s work, not ours, that we are called to do. Whatever our vocation, whatever our occupation, we are called in some way to till the soil in the Lord’s vineyard, his Church, and in our case, this parish. For that reason, when Isaiah says to us, “[s]eek the Lord while he may be found, call on him while he is near”— let us regard this as a summons to open our hearts humbly to the Lord, asking what he would have us do to tend the vineyard that is St. Ignatius Parish so as to produce a rich harvest of holiness, fit for the Kingdom of heaven. We read that the owner of the vineyard went looking to hire laborers at dawn, at nine o’clock, at noon, at three o’clock in the afternoon, and at five o’clock. The hours of the day might be compared to the stages, the eras of your parish history. The workers hired at dawn may be thought of as the 18th century Jesuit missionaries who, in spite of many challenges made their way from Southern Maryland, to what is now Harford county and into Pennsylvania. Here we remember names such as Fr. Joseph Greaton, S.J. & Fr. Charles Sewall, S.J. The workers hired at dawn also include those Catholics who opened their homes to priests so that Mass could be celebrated in this area. Here we remember Benjamin Wheeler, his son, Colonel Ignatius, and many others. These are the ones who helped establish the vineyard where now we pray and work. We remember them lovingly even as we seek to continue the work they began. Perhaps the laborers hired at nine in the morning are those who built what remains the oldest Catholic Church in continuous use in the Archdiocese of Baltimore: the original St. Ignatius Church, happily renovated & standing proudly on this campus. It was built just after it became legal for Catholics to worship publicly because of a change in Maryland’s laws as well as the Constitution and Bill of Rights. So we gratefully recall the name of Fr. Sylvester Boarman, S.J., and Ignatius Wheeler, a principal contributor, for whose patron saint this parish takes its name. 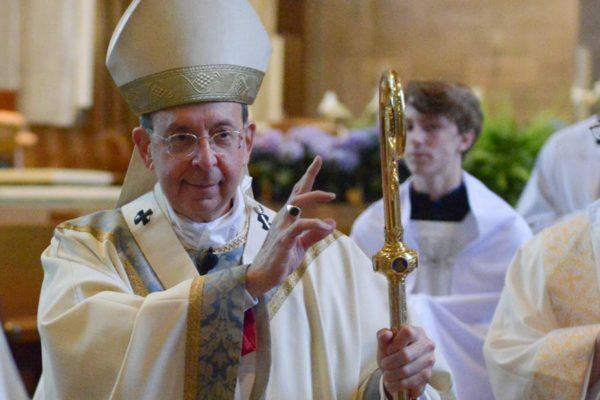 Among those hired at 9 a.m. is Archbishop John Carroll, America’s first bishop, who came to Hickory to dedicate the new church in his fledgling diocese. Hired at noon and at three in the afternoon are those who continued to build up the parish through the years – adding to the existing church, maintaining a parochial school, and much more. Somewhere around the three in the afternoon, let’s call it 1967-69, the Owner of this vineyard, St. Ignatius, found extraordinary workers who helped this parish to grow and set the stage for the parish we see today. Among these workers was Msgr. Arthur Slade, a native son, who came out of retirement to serve the people of this parish with great dedication. We think of Fr. John Griesaker and Fr. Kenneth Farabaugh who, with dedicated lay co-workers, led this parish in a time of exponential growth, that led to the building of the very beautiful church in which we now worship. Hired somewhere between three and five as your present pastor, Msgr. Barker, and I don’t have to tell you, that among all the laborers in this vineyard, none has worked harder or more effectively than this wonderful priest. Let us offer him our heartfelt thanks! As for those hired at 5 o’clock – well, that’s all of us – the current generation that constitutes the parish of St. Ignatius. Like the laborers in the Gospel who were hired late in the day, we have benefitted from the work of those “who bore the day’s burden & the heat.” Like those who have gone before us, we recognize how fleeting our opportunity is to work in the Lord’s vineyard, to do this work of faith, worship, and service to others. 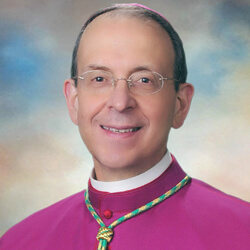 May God’s grace enable us to work joyfully and generously in this hour given us to continue building up this vineyard by planting the seeds of faith and producing a harvest of holiness: vocations to the priesthood, strong and loving families, active young parishioners, vigorous missionary outreach to Catholics who no longer practice their faith and to those who are searching for truth, meaning, and love in their lives, coupled with generous service to the poor and the vulnerable. For tomorrow a new day will dawn and others will come after us to continue the work that we have been given to do in our span of days. And what about the daily wage the Owner promised to pay us? In the Gospel, the usual daily wage is a denarius – a diminutive sum we might think – but in fact, the coin worth searching for, the treasure beyond all price! For in his generosity, the Owner of the Vineyard has given us neither silver nor gold but his very life, poured out upon the Cross and offered to the Father and to ourselves every time Mass is celebrated. Jesus himself and the Father’s love for us, poured in our hearts by the Spirit – this is the unmerited recompense we receive for our labors, be they great or small, be they long or short. For indeed as we labor in the vineyard, the Lord’s love gently overtakes us and prepares us for that day when our labors shall cease and we shall join with those who have gone before us in faith in beholding face to face the glory of the Triune God. To Him be honor and glory, how and forever. Amen!